When the Federal Motor Carrier Safety Administration (FMCSA) rolled out the new electronic logging device (ELD) mandate, exemptions to the rule were included for some drivers. Not everyone needs an ELD starting now or later in 2019. The exclusion of most interest for local drivers is the short haul exemption. Before you decide you don’t need an ELD, make sure you understand exactly how the exemption works. If not, you could find yourself out of compliance and in trouble. 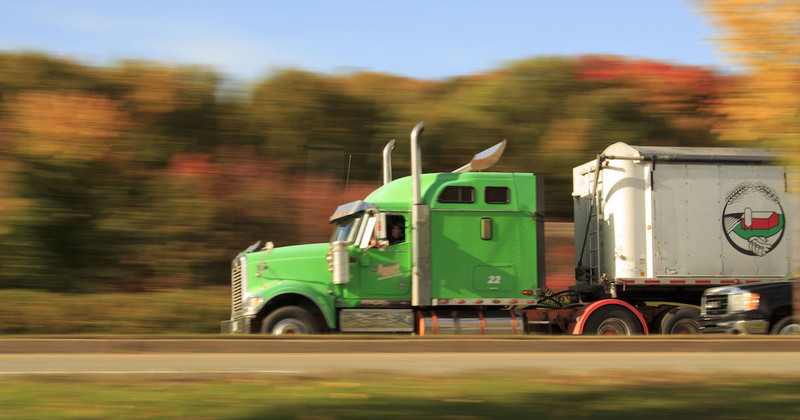 The rules you have to follow as a short haul driver depend on whether you have a CDL or not. Your criteria as a CDL driver are tighter than non-CDL drivers. You must drive only in a 100 air-mile radius. You cannot drive more than 11 hours at a time. You must maintain your time clock function. You must be completely off duty within 12 hours of the start of your day. You must go back to the same work location every single day. You’re required to have at least 10 consecutive off-duty hours between each shift. Currently if you miss any one of these requirements, you need to log your hours on a paper log for the day. Once the ELD mandate is in full force, you’ll need to use an ELD to log your time. Specifically, you’ll need an ELD if you break one requirement more than eight times in a 30-day rolling period. You already know if you have jobs or runs on a consistent basis that require you to go outside your radius or stay on-duty longer and could put you in potential violation. Having an ELD installed is a safe bet. While some of the requirements for non-CDL drivers are a little more relaxed, knowing if you’re compliant or not can evolve some special math and lots of finagling of how many days and hours you’ve worked. You can only drive in a 150 air-mile radius. Your route can’t take you into any state that requires a CDL for the type of truck you’re driving. You’ve got to report back to the same location for work every day. You cannot drive after the 14th hour of coming on duty in a seven day period. If you do, you’ll need a 34 hour reset before you can do it again. You cannot drive after the 16th hour of coming on duty in a two day period. Like CDL drivers, when you miss even one requirement before the mandate is in effect, a paper log covers you. After the mandate, you’ll need an ELD. Gorilla Safety offers a simple, affordable, and easy-to-install ELD that can keep you in compliance when the job takes you out of your radius or off-schedule. Within the short haul exemption is another rule to keep in mind if you realize you’re about to break a rule. If you break any of the short haul exemption rules, whether you’re a CDL or not, you must take a 30 minute rest break before you enter your eighth hour of driving. If you break the rule after you’ve been driving for eight hours, you have to take your 30 minute rest break before the 14th hour and make a note of why you didn’t take your break sooner. When you work right on the edge between short haul exemption or not, stay safe and never worry about compliance with an ELD from Gorilla Safety. You don’t have to choose the option with all the bells and whistles – our basic Prime8 ELD may be all that you need. Esta entrada fue publicada en ELD Mandate. Guarda el permalink.